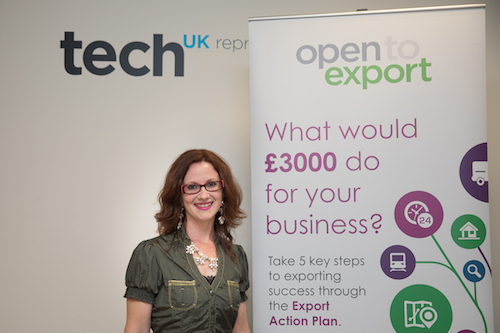 The creative and tech sectors are two of the UK’s most exciting and dynamic for exporting. In the final part of a series of case studies looking at businesses carrying the flag for the UK overseas, we look at Zenith Nadir. Zenith Nadir formed in 2008 is an eclectic mix of electronic rock with Latin rhythms such as salsa, cumbia, danzon, mariachi and banda, a combination of electric violin, keyboards, bass guitar, lead singer and programming from Mexico City and the UK. Widely considered as one of the most creative, futuristic and innovative bands in the independent scene, a fusion of different styles and genres to create a genuinely unique sound and experience!! The band is now based in Europe. The band have toured four times in the UK and twice in Mexico and they have sold music in different countries in South America, Europe and beyond and released 3 very successful albums independently with sales well into the thousands! They have just released their 4th original album called “Cuentame tu vida”, available in all digital stores. The UK connection: Electronic violinist Selina Marshall is from the UK, and while on a year abroad in Mexico City she met Alex while he was promoting music. After working together for a few years promoting bands with their own independent record label and making programmes for their internet TV channel, Alex asked Selina if she wanted to start the band Zenith Nadir after various experiences he’d had which inspired him to write the first lyrics of the band. They invited Emmanuel to join them, making this dynamic MexUK-futuristic musical trio which is Zenith Nadir. The band have launched their own merch this year and a pre-launch CD special edition with 3 of their new songs, available in the online shop. The band have appeared on major radio, TV stations, newspapers and magazines in Mexico as well as local press in the UK where they have appeared on their UK Tours. “really colourful” (David Burns – BBC Radio Humberside), “it makes us feel like every day is summer!! !” (Pete Bassett, 2013), “rock with multiple fusions” (Rollingstone – Mexico Edition). The band is an electronic rock group with Latin fusions and now we want to export to Europe. We want to do European tours providing live music and merchandise and then also to sell the cartoons from our album covers too. We’d also like to start to investigate the Japanese market to do a future band tour as our lead singer has a large following from Japan on his social media. Basically we know what direction we’re going in now – we have a clearer idea and hopefully today will bring more opportunities for the future. Really nice experience for me – it was a first as I’ve never presented before. I’ve played on stage loads of times but never presented a business proposal!